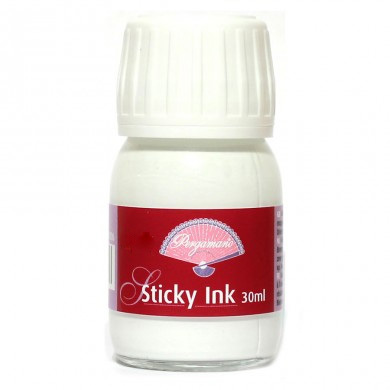 Sticky ink, 30 ml. Ideal for applying glitter. Apply with the mapping pen (10420) for a very detailed result. Dries transparent. After use, close securely.